The long daylight hours and extra free time of summer make riding more accessible than it is in the winter. The trails are open and show season is in full swing. However, asking your horse to work on a hot day can have serious consequences for his health. The primary summer concern for horses is heat exhaustion, which is when a horse becomes weak and tired due to increased body temperature and dehydration. An observant rider can treat heat exhaustion fairly easily. However, if not treated quickly, heat exhaustion can progress to heat stroke, which can be life-threatening and requires veterinary intervention. If your horse is showing any signs of heat exhaustion, get him out of the sun and into a well-ventilated area or in front of a fan. There is a persistent myth that hosing a hot horse down with cold water will cause him to tie up, but studies have shown that this is not the case. During a routine, post-ride hose down, a slow shower of cool water will probably be more comfortable for your horse, but in cases of heat exhaustion, it’s essential to cool your horse down as quickly as possible. The most efficient way to bring a horse’s core body temperature down is to douse him in cold water, use a sweat scraper to remove the excess water, and immediately repeat. Hosing and scraping repeatedly is the preferred method as it keeps cold water consistently on the horse’s skin. Water left on a hot horse’s body will warm up quickly and be less effective at cooling his core temperature. If you still have doubts, remember that endurance horses go through this process each time they stop at a vet check during competition, and continue their race shortly afterwards. Allow your horse to drink small amounts of water periodically as he is cooling down. Rationing out the water is believed to be more efficient than allowing your horse to gulp down a full bucket right away. Ultimately, you do want to let your horse drink as much water as he needs, but permit it gradually until his vital signs are back down near normal. When a horse’s core temperature rises above 105, the situation is more serious and may be on its way to a full case of heat stroke. At that temperature, the heat is interfering with the cellular process of the horse’s body, and without intervention can lead to permanent damage or death. If you suspect your horse is suffering heat stroke, follow the same steps you would in case of heat exhaustion, but also call your vet right away. Your horse may need to be treated with intravenous fluids. If possible, use ice water to douse his body. The American Association of Equine Practitioners also recommends icing the jugular veins that run along the sides of your horse’s neck, and the large, visible veins that run on the inside of the legs. This will help by lower your horse’s core temperature by cooling the blood that circulates through his body. Individual horses tolerate heat differently. One of the key factors is fitness. A horse that is well-conditioned will do better in the heat than an average pasture pet. Breed and type can also factor in to a horse’s heat tolerance. A horse with a long, lean build has more surface area relative to his overall mass than a more stout, compact horse, which makes them more efficient at cooling. 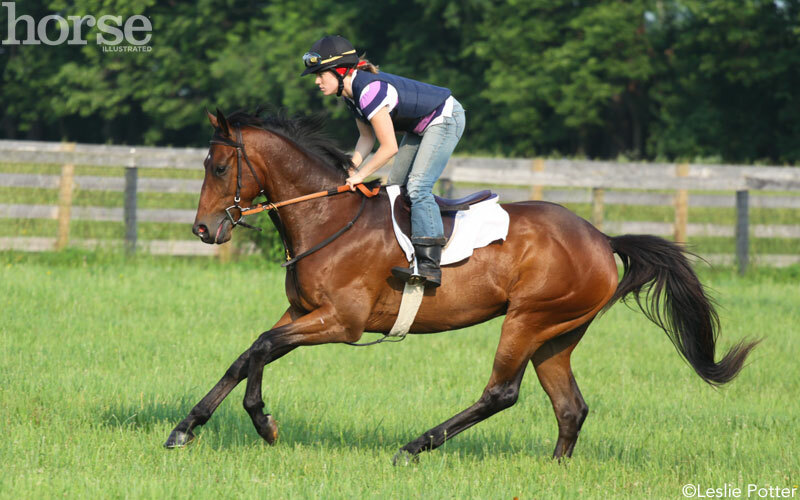 A Thoroughbred or Arabian type will typically deal with heat better than a draft horse or pony. Just like human athletes, horses need time to acclimate to the changing weather as summer approaches. As your horse is gaining fitness, restrict your rides to early mornings or later in the evening to avoid the heat of the day. If you compete with your horse, gradually working up to hot weather will help prepare you for shows when you don’t have a choice of what time you ride. A few horses develop a condition called anhidrosis, which is the partial or complete loss of the ability to sweat. There are treatment options available for this condition, but management is still key. Because the risk of overheating is so high in these horses, they should not be worked in very hot weather and, if possible, should be kept in a stall with a fan during extreme heat as even standing in a sunny pasture could be enough to cause them to overheat. Hosing anhidrotic horses regularly during work or on hot days can also help make up for the self-cooling abilities that they lack. In some cases, the best option for an anhidrotic horse is to move him to a cooler, less humid climate. Humidity is a measure of the amount of moisture in the air. High humidity prevents sweat from evaporating as quickly, reducing its cooling effects on horses (and humans.) 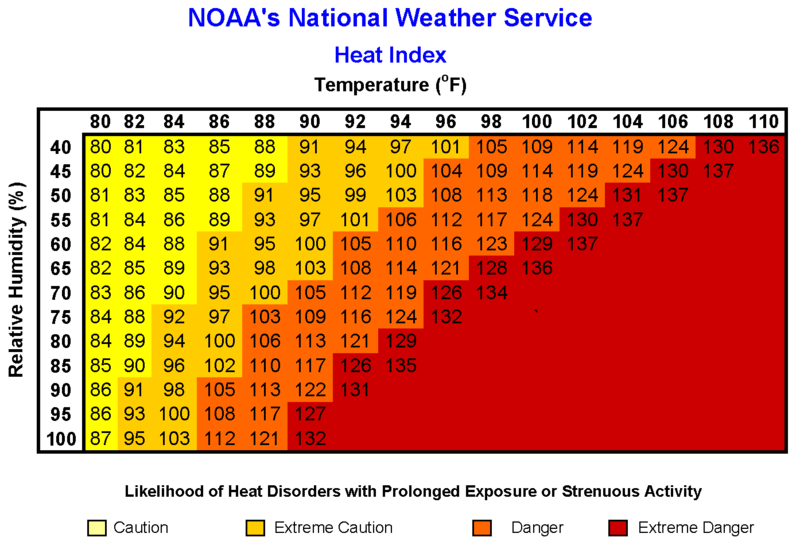 Because of this, humidity should factor into your assessment of whether or not it is too hot to ride.